Welcome to Plan and Plant, the Garden Design Service and Advice Department at Langlands. Our exclusive, bespoke Garden Design service allows our customers to make their dream garden a reality, at an exceptionally competitive price which won't burn a hole in your pocket! Run by Niki Miller BA (Hons) GAD, our fully qualified resident Garden Design expert, our Plan and Plant department offers you the opportunity to create any style or theme of your choosing; whether you favour a modern and contemporary look or traditional English country garden, Niki will fuse the perfect combination of form and function into any outdoor space, whether large or small. Niki will visit your garden, take a casual walk around it with you, discussing any problems and answering all your questions; from what plants to choose, location, care plans, varieties, and pruning, to garden layout, design, and construction and ideas. Once Niki is in your garden, she will not leave until all of your Garden Design questions and queries have been answered, and you are well on your way to resolving them! Whilst discussing your Garden Design ideas, we would advise that you take a few notes so as not to forget any important details. Alternatively, Niki can arrange for a full set of garden advice notes and photographs to help guide your decision. An hour long consultation visit, in your home, to discuss your requirements, styles, problems and how you use your garden. A full survey and analysis. A photographic record of the site. Two unique hand-drawn design plans, drawn to scale with accompanying visuals and sketches. if required, a more detailed scaled plan or measured layout plan can be drawn of the chosen design. Niki's professional Planting Plan will provide you with everything you need to get cracking on bringing your perfect garden to life! A clear and easy to follow plan, tailored specifically to your garden. You can install the plants yourself, or we can arrange to plant them for you. A consultation on the type and style of planting you require. All of the plants used in the garden design plan will be available from Langlands, and we also have many, many beautiful and functional accessories to really enhance your outdoor spaces, like water features, bird feeders and a vast array of ornaments, solar lighting and garden art that will really make your new garden something spectacular to behold! 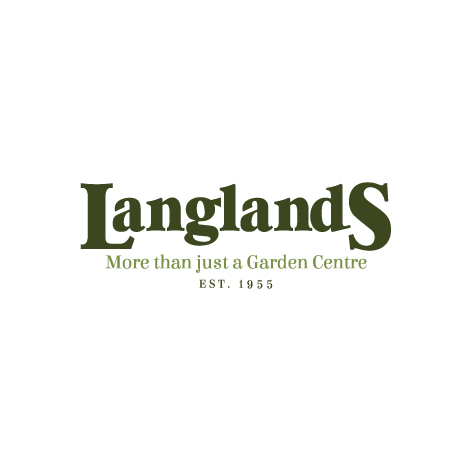 If there is anything you think we can help you with, please just ask... As with all Langlands services, from retail to garden design, we will always try our very best to assist you in any way we can and make sure you are fully satisfied! Alternatively, just pop in to the Garden Advice Centre, located in the outdoor plant area at our Shiptonthorpe centre. Niki can always be found tending to her designs and beavering away to create some personal Nirvana for one of our customers. Her office is easy to find in our Outdoor Plant Area; just ask at the information desk, or any member of our friendly staff if you need directions.